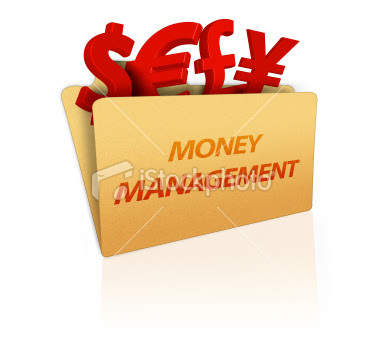 Finance Ideas 4u: Here is your money management tips for 2010. Here is your money management tips for 2010. Saving is not very difficult as it sounds. Actually I am not making you afraid that if you will not saving then it will kill you before the world ends at 2012 nothing like that. Actually here are few suggestions how you can save more than your expectation in 2010. 1. Just calculate the total amount which you are spending for your kitchen paper. Instead of using kitchen papers use cloth napkins. Because you can use it after wash. So in this way you may save near about $75 to $80 a year. 2. If all of your family members are working then you just unplug your cable connection. Because it’s wasting of your money and you may able to save approx $500 plus per year. 3. Regarding electronic gadgets we are generally using digital camera. So, if your are using this lot then just use rechargeable batteries. It will save your money. 4. If your family members have mobile phones then why are you using land phone connection? I have disconnected my land connection & also using skype. In this way you will able to save. 5. As we know that chopped & shredded vegetables, fruits, cheese, fish & meat much more costly then the un-chopped. So, purchase un-chopped instead of buying chopped. And do it yourself at your home. 6. Try to find the ways of exercise which is free of cost like free hand, yoga etc. & stop going to gym. Because we paid a good amount to our respective gym through out the year. So, in this way you may save more than $250 per year. 7. Try to avoid printer, ok if it is not possible then don’t use it unnecessarily. Because the ink cartridges are very costly. And save more than $65 to $70 per year. Here is one important announcement all the above 8 points out of the hundred. You can start more saving with the help of these points & I am sure you all get more effective points to save. So, I am expecting some reply with some other important points. Waiting for your reply and wishing you happy financial year 2010 ahead.